Color sensors from Micro-Epsilon recognize surface colors and self-luminous objects. The sensors recognize each color in various applications including automation technology, medical packaging, quality control, as well as in painting, surface-labelling and printing. 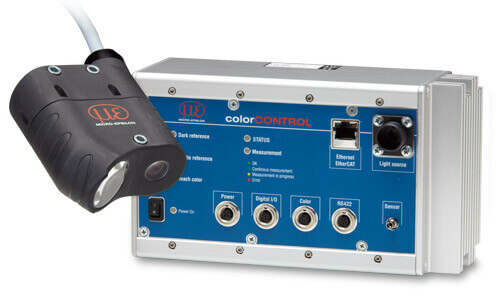 The colorCONTROL ACS7000 color measuring system not only recognizes reference colors by comparison, but identifies individual colors clearly from their coordinates in the color space. 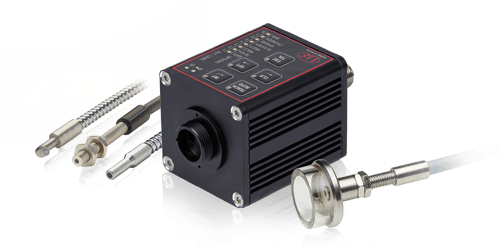 With its very high measurement speeds, the colorCONTROL ACS7000 is suitable for applications where colors and shades have to be examined on-the-fly and to very high accuracies. The colorCONTROL MFA is applied on the flexible color and intensity control on LEDs displays and colored objects. A special benefit is the flexible positioning of the measuring unit to the objects.